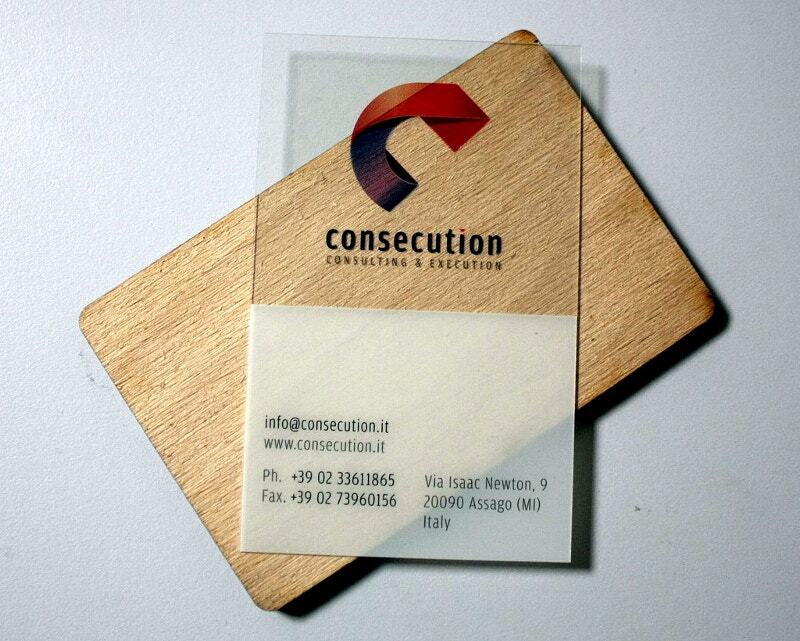 Now transparent business cards are the best sellers in the market. 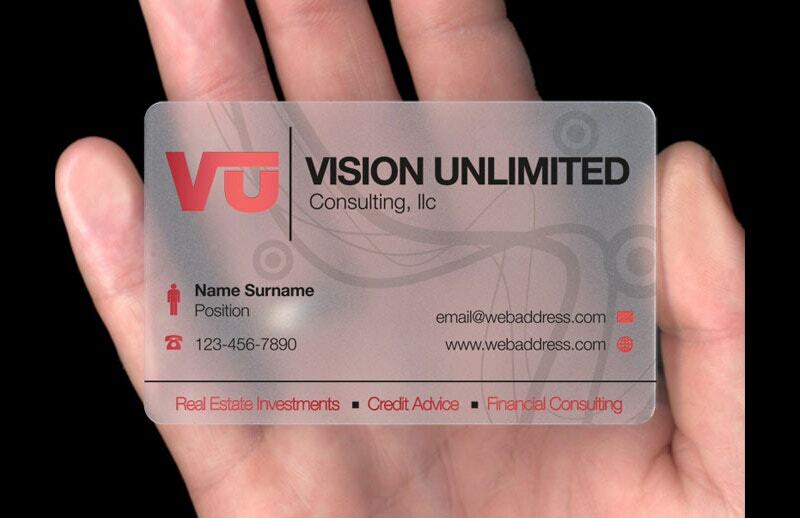 The ice cards with a see-through look never fail in creating a lasting impression. 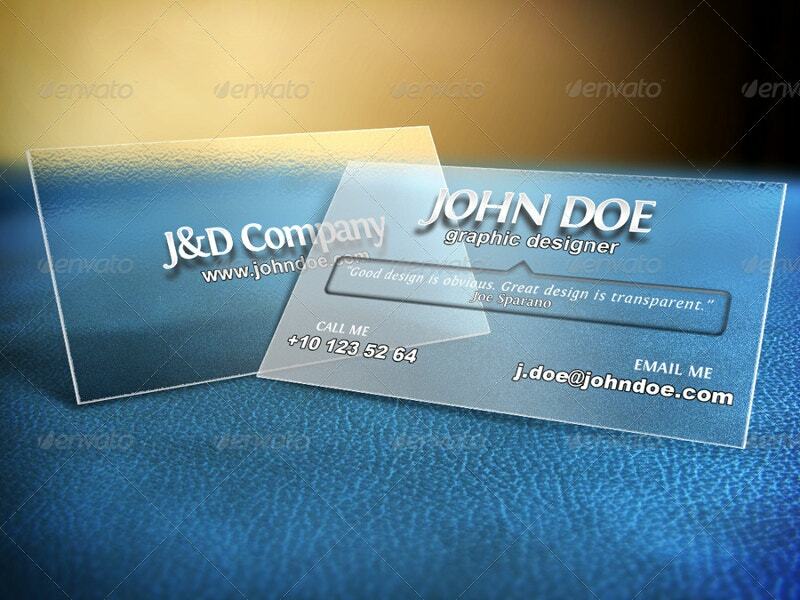 Below are a set of transparent business cards with a crystal clear look. 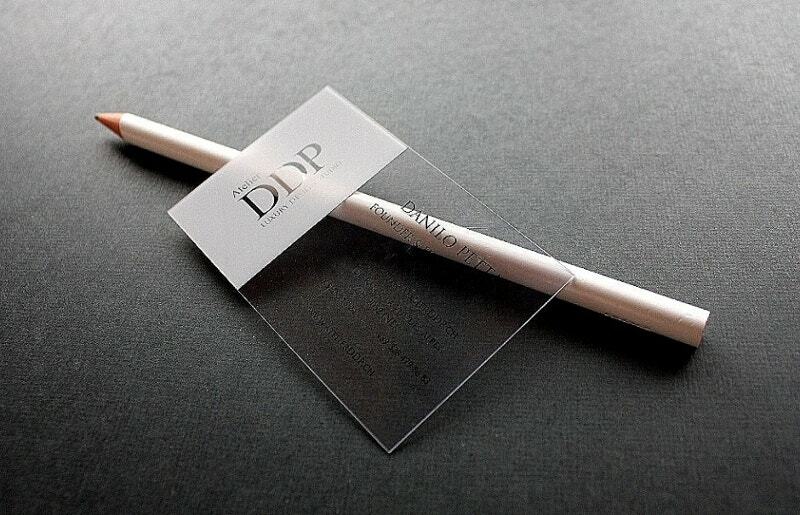 They are waterproof and available as frosted, opaque, and clear versions. They pass a positive statement about your business. They even allow you to do some creative tricks. Have a look at these translucent objects. The die-cut is of the past. 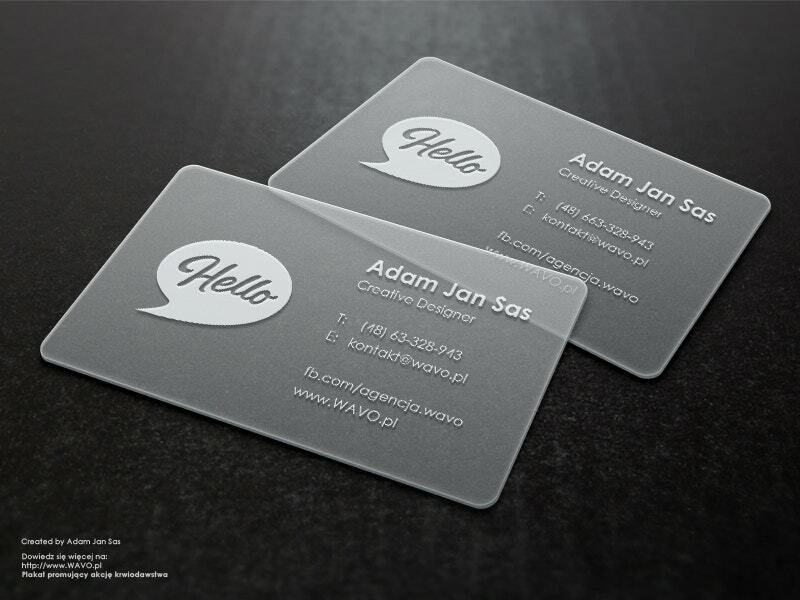 Look at this Branding Transparent Business Card sample by Adam Jan Sas. 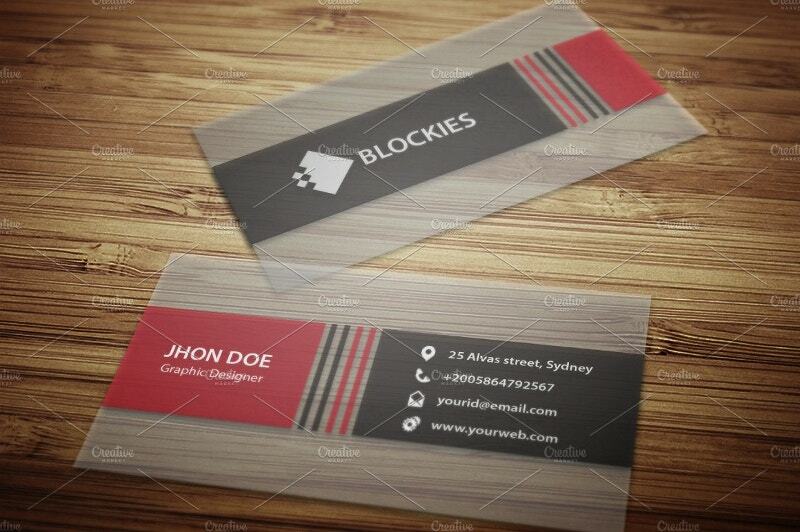 It has been done using a plastic business card. 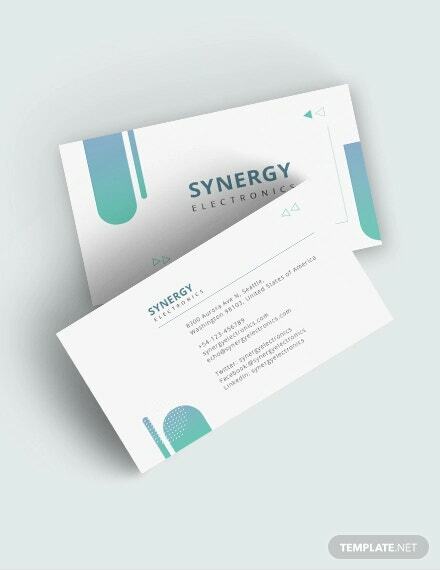 Enhance your brand and print today with this. 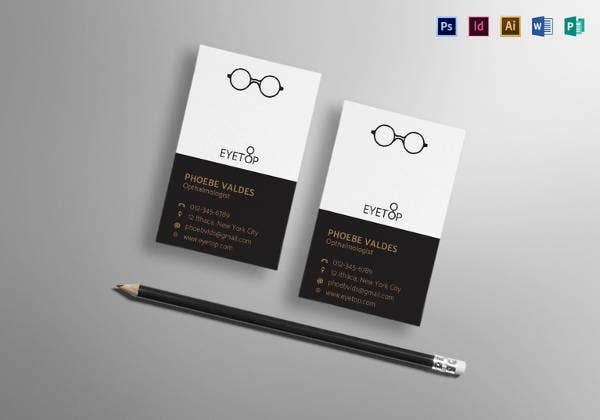 This 15 Corporate Business Card Mockups bundle costs $10. 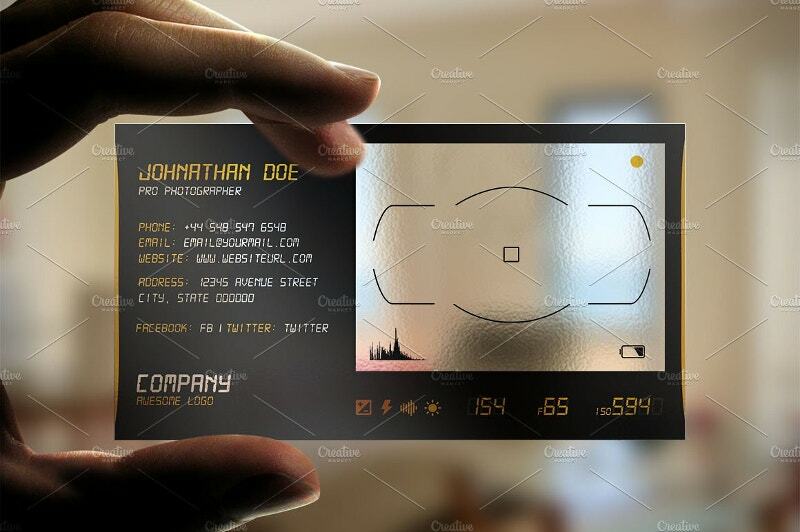 The 15 PSD files consist of some realistic photo effects along with an HTML help file. 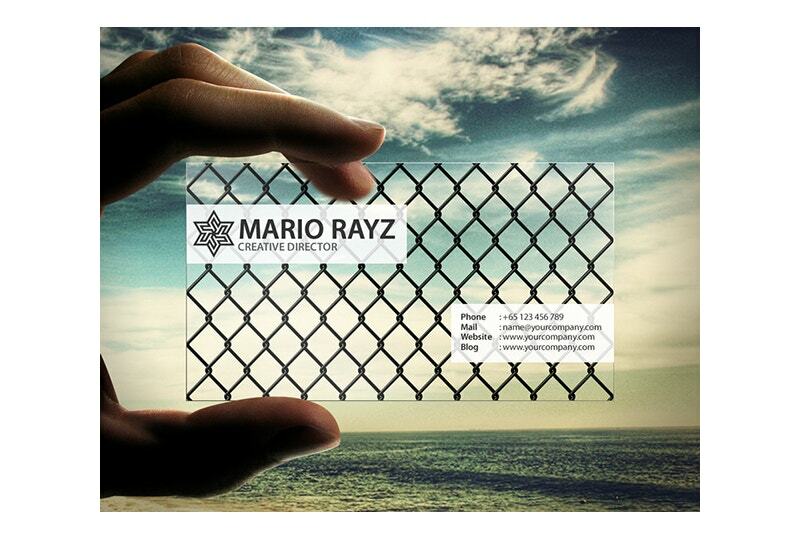 Now your business card will not hit trash anymore. 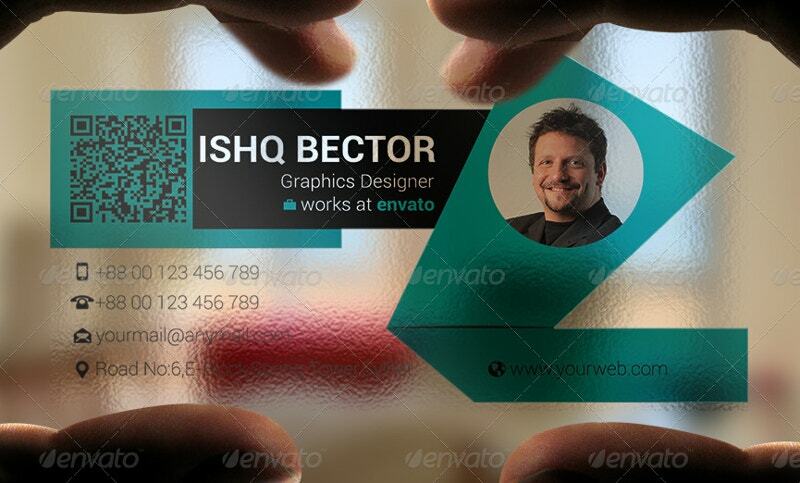 This Corporate Business Card is free for your use. It will not break or bend. 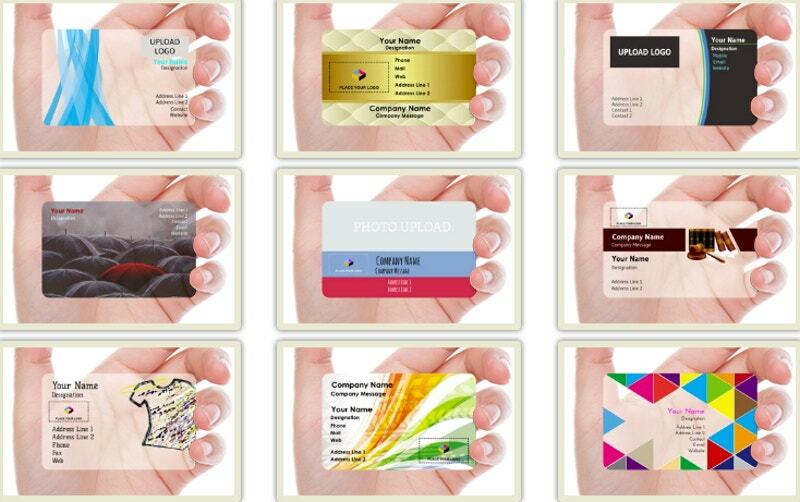 The designer of these cards has admitted that he conceptualized them five years ago for his clients. 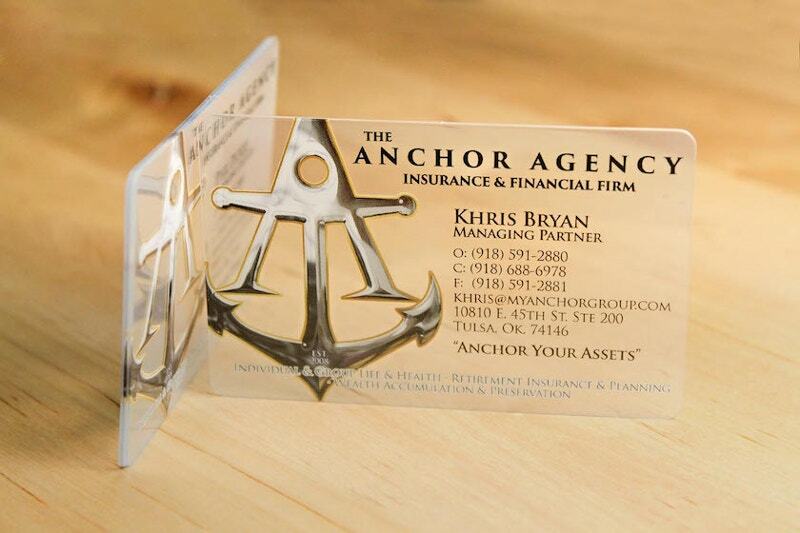 Investing your money in these cards is nothing short of investing in your business. It definitely pays you back. 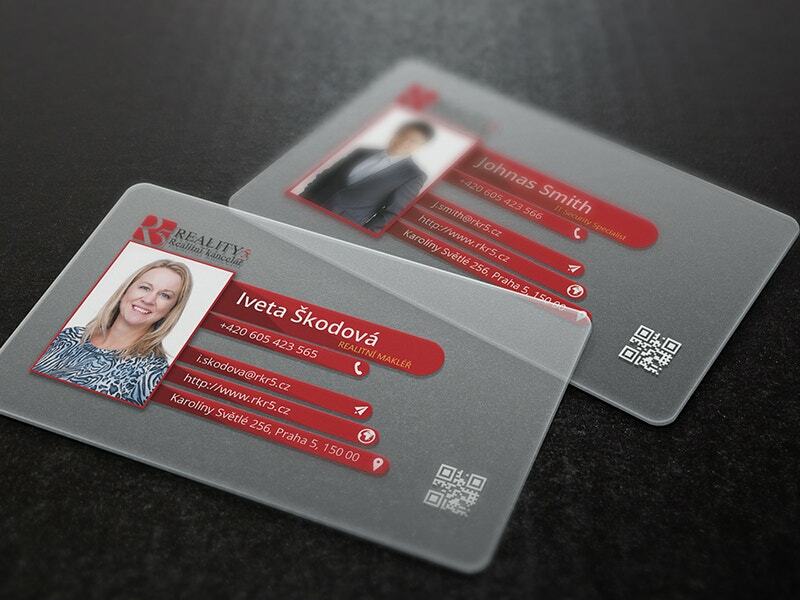 The designer admitted that in Czech Republic, the price of 250 Business cards is $74.51. 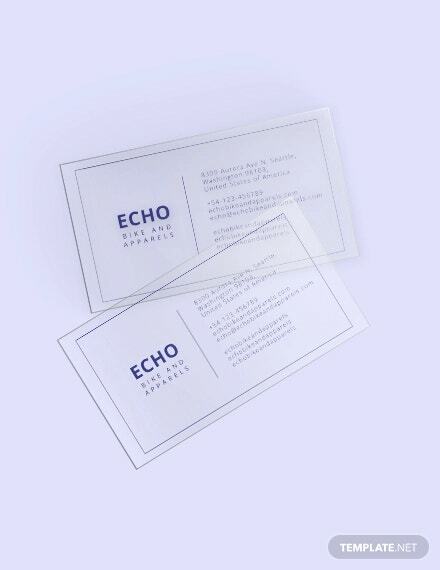 This Blue Transparent Business Card costs $5. It resolutes 300 dpi and the CMYK color coding makes this PSD a print-ready. This fully editable piece sizes 2.25×3.75. All the fonts used are free. 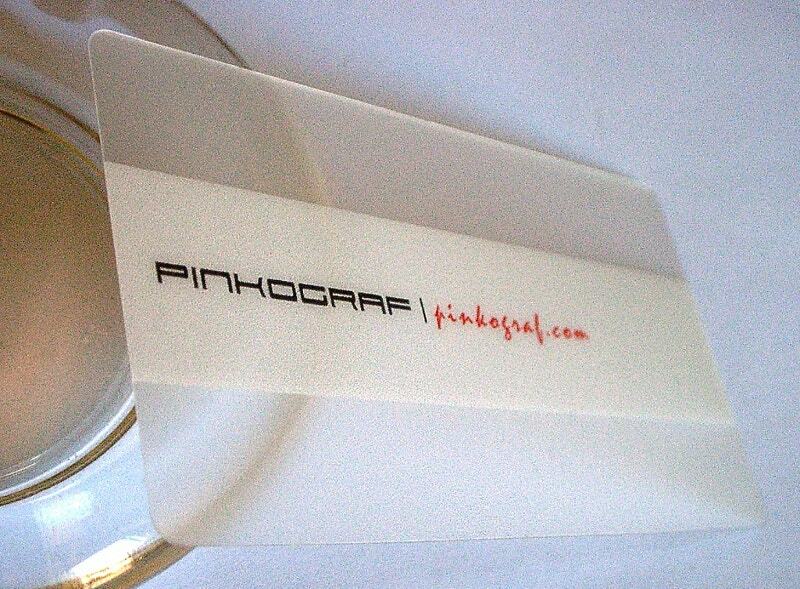 This Plastic Business Card is not so easy to scratch. Also, this anti-bending thing creates a great commercial effect. Go over with this design. It also gives an interesting feel to the hand. 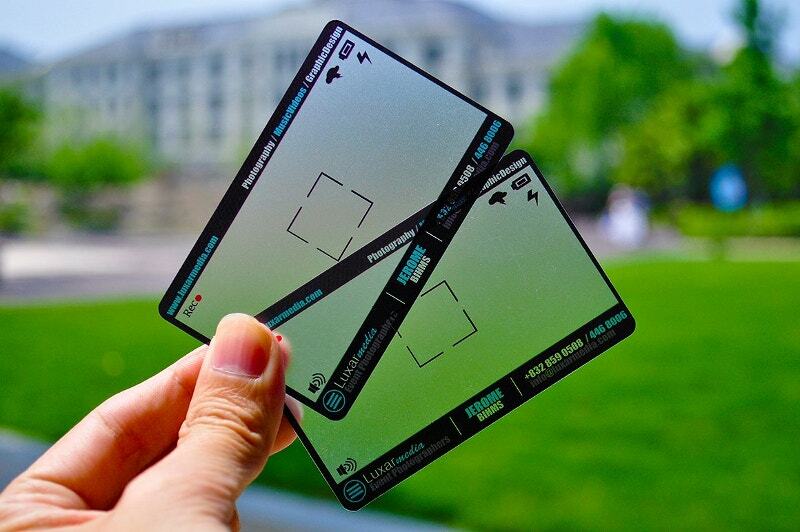 This Plastic Black Business Card costs $6. 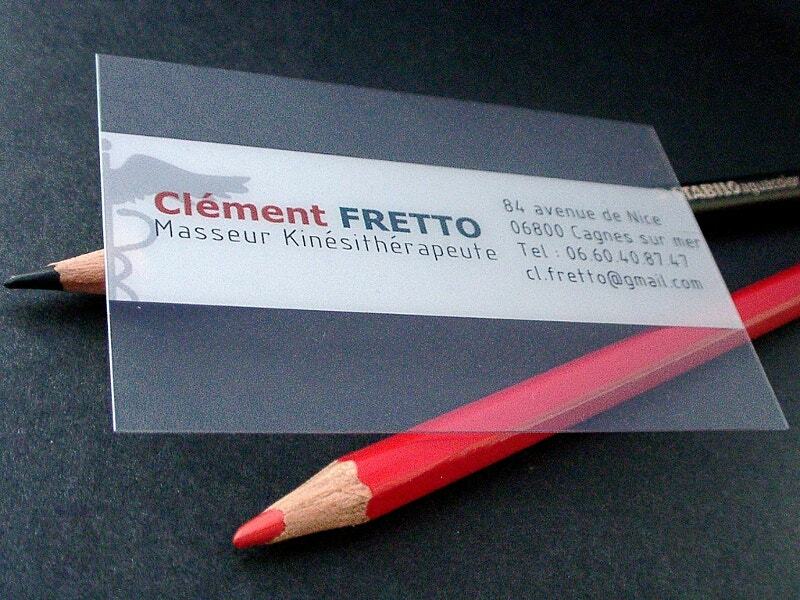 The PSD file allows you to print the design on frosted plastic cards. To edit it, all you need to have is Adobe Photoshop CS1 or higher versions. 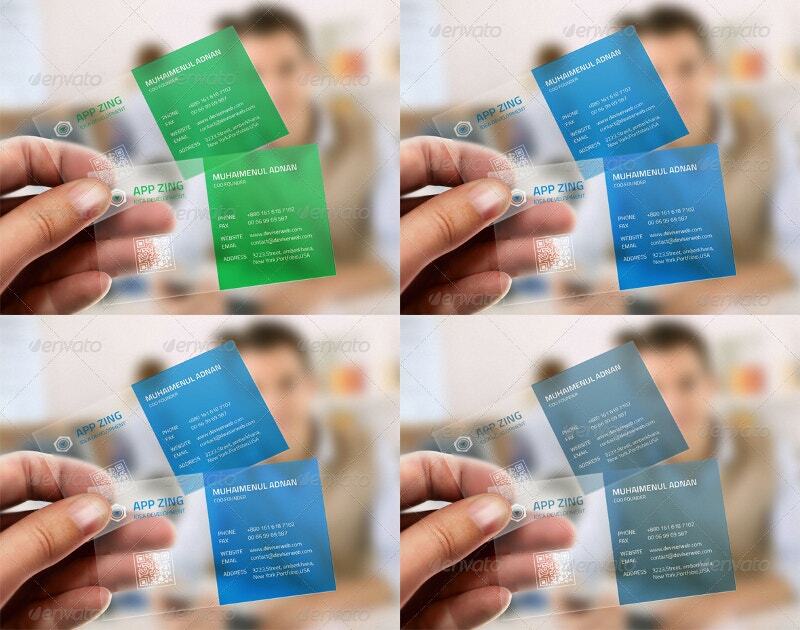 This Green Transparent Business Card Bundle costs $7. 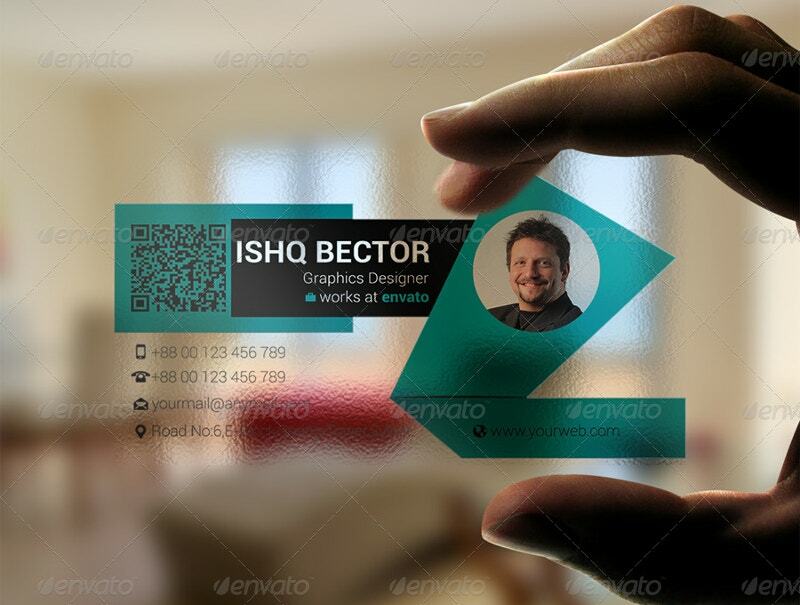 The set of 2 PSD files comes with a high resolution of 300 dpi. Each of them sizes 2.25×3.75 inches. The CMYK color mode makes it print-ready. 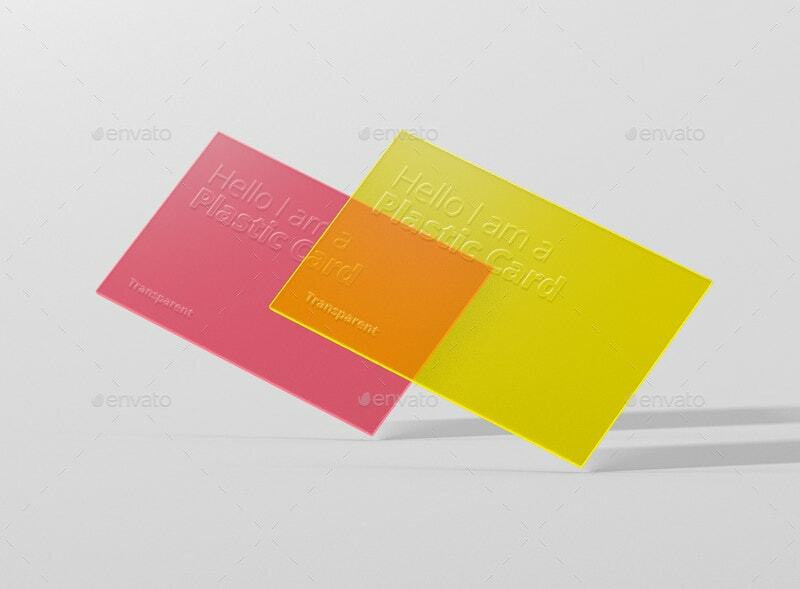 This Transparent Business Card Template costs $6. It comes with a high resolution of 300 dpi. 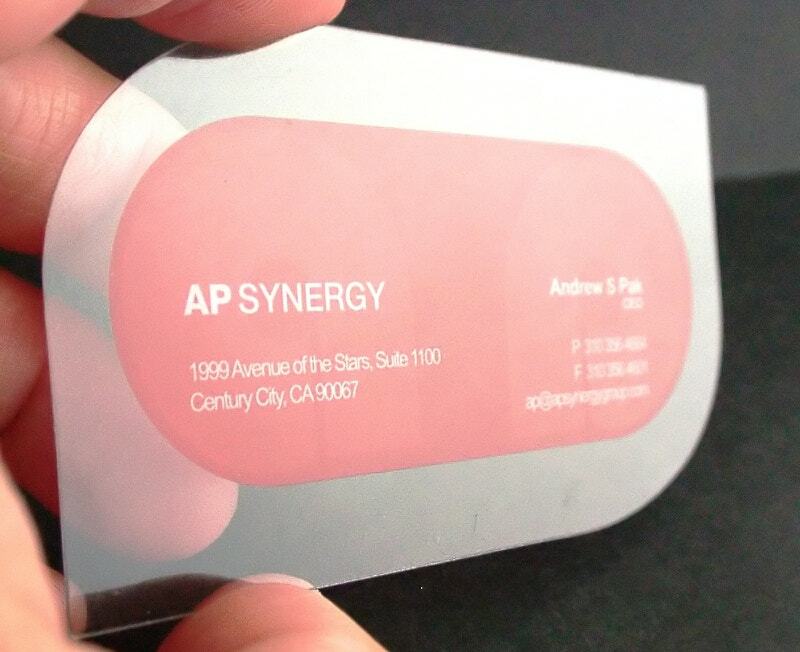 It sizes 3.5×2 inches and the CMYK color mode makes it print-ready. 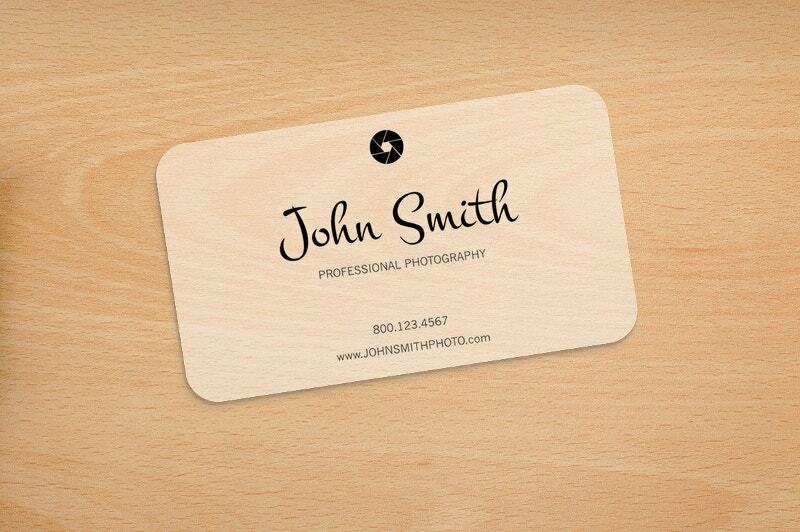 This Photography Rounded Corners Business Card costs $5. It comfortably sits in your wallet and its rounded corners make it an easy carry around thing. You can adjust the provided artwork to your needs. 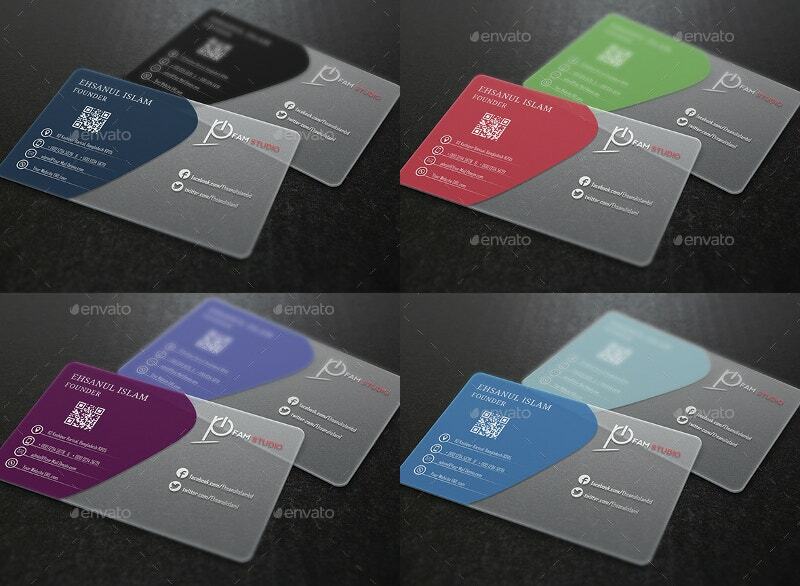 You can emboss and deboss these transparent Business cards. They can resist moisture and dirt as well. 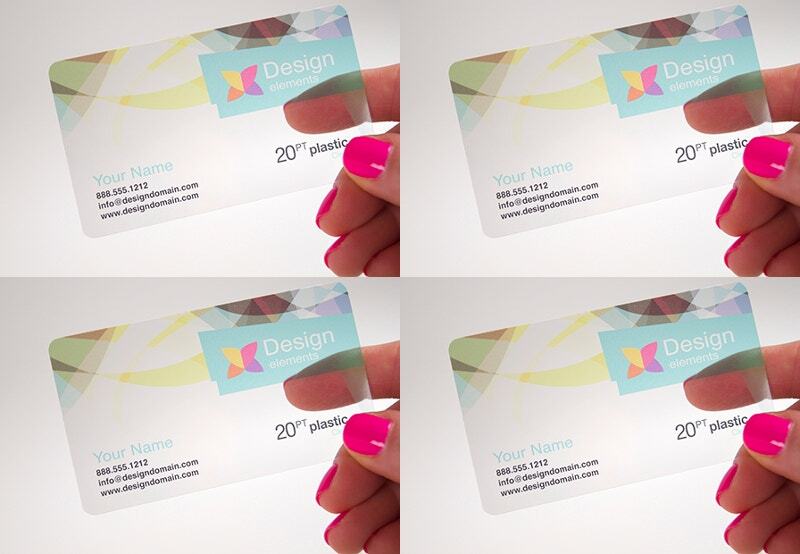 These can be used by recruitment agencies, graphic designers, photographers…the list goes on. 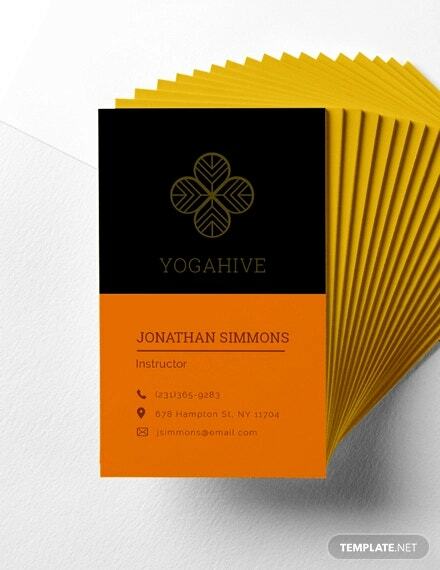 You can even try cards with geometrical shapes and 3D modeling as well. Charge your business sales with these. Their presence indicates your status.